We’re an American restaurant and bar located in a completely renovated building on the square of historic downtown Sherman, TX. We’re open every day of the week, and we’d love to see you! We have a wide variety of appetizers, specialty sandwiches, salads, burgers, hot dogs, street tacos, and other outstanding entrees. 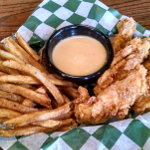 Come try our delicious chicken tenders! 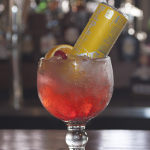 We have a full bar with over 100 different beers (30 on tap, including many local and area-wide craft beers), wine, margaritas, and specialty cocktails. 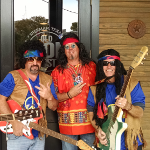 We have live music every Saturday night, watching parties for every major sporting event, and various special events throughout the year. 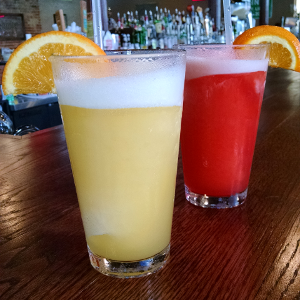 Every Wednesday, We Have $2 Margaritas All Day Long! 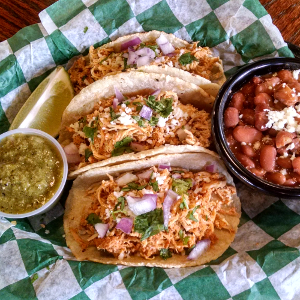 $6 Street Tacos Every Thursday From 3pm-6pm! Copyright © 2014 - 2019 Barrett Hospitality, LLC. All rights reserved.